CEDAR PARK, Texas — Michael Rasmussen scored two goals in his first game as a Griffin and Harri Sateri hit a season-high five-game winning streak in the Grand Rapids Griffins' 5-3 win over the Texas Stars at the H-E-B Center at Cedar Park on Thursday night. The American Hockey League’s first game back from the all-star break saw the Griffins score four unanswered goals, with Chris Terry and Rasmussen each recording one to help close a two-goal deficit to Texas (22-18-3-2) late in the second period. Dominik Shine netted the game-winning goal early in the third, while Sateri blanked the Stars in the final frame to end the night with 25 saves for the win. On just their third shot of the night, the Stars grabbed an early lead off a goal from Tony Calderone. Barely seven minutes into the first period, Calderone collected a pass from Joel Hanley in the high slot and lofted it into the upper left-hand corner of Sateri's net, giving Texas an early 1-0 advantage. At 12:27, a 3-on-1 left Colin Campbell streaking up the left-wing boards in the Stars’ zone. Near the circle, Campbell sent the puck across the ice to Filip Hronek, drawing out Texas goaltender Landon Bow in the process. A quick feed from Hronek to Dominic Turgeon on the doorstep left the forward with a wide open net, allowing him to deposit the puck and tie the game at 1-1. Listen to Bob Kaser's call on Turgeon's goal. The Stars regained the lead soon after with two back-to-back power play goals. At 16:53 of the opening frame, Calderone took a shot from the blue line that bounced off Sateri, but Joel L’Esperance jumped on the loose puck and forced in the rebound. Previously tied with Terry as the league's two leading goal scorers, the tally allowed him sole possession of the top spot with 24 goals. Just seven seconds into their next power play, forward Michael Mersch forced Grand Rapids’ penalty kill to a 1-for-3 finish on the night. After wrapping around the right-wing circle in the Griffins’ zone, Erik Condra sent the puck to Mersch near the goal line. Mersch whipped it into the net from Sateri’s left side at 5:18 of the second period, solidifying a two-goal lead for the Stars. At 10:23, Terry rebuilt his tie with L’Esperance as he scored his 24th goal of the year. After a pass from Carter Camper to Matt Puempel in the slot was broken up by Stars’ defenseman Shane Hanna, Terry gained control of the puck and and threaded it past Bow for an unassisted goal. Listen to Kaser's call on Terry's goal. While on a power play two minutes and six seconds later, Joe Hicketts took a wrist shot from the left point that rang off traffic. Rasmussen, who was waiting close to Bow's net, backhanded the rebound past the goaltender to tie the game at 3-3 headed into the third period. Just 2:47 into the final frame, the Griffins took the lead with Shine's fourth goal of the year. After Axel Holmstrom battled the puck away from the boards behind Bow’s net, he fed it to Shine waiting near the goaltender's left side. With a quick shot, Shine flung it over Bow's left shoulder to give Grand Rapids a 4-3 lead. With 57 seconds left in regulation, Filip Zadina broke away from the Griffins’ zone with the puck and sent it Rasmussen, who popped it into the Stars’ empty net to close scoring. 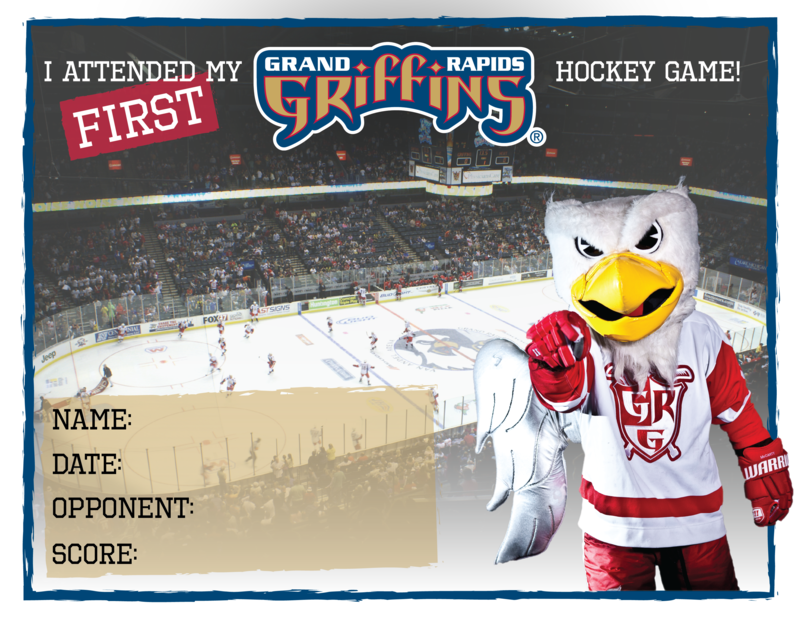 Notes: Rasmussen is in the Griffins' lineup while on a conditioning assignment from the Detroit Red Wings...Grand Rapids' 23 shots in the second frame ties the record for most shots in a period during a road game (twice, most recently against Manitoba on March 31, 2006)...When the Griffins return to Van Andel Arena next week they will begin a seven-game home stretch, the team’s longest since a hosting seven games from Nov. 29-Dec. 14, 2013.